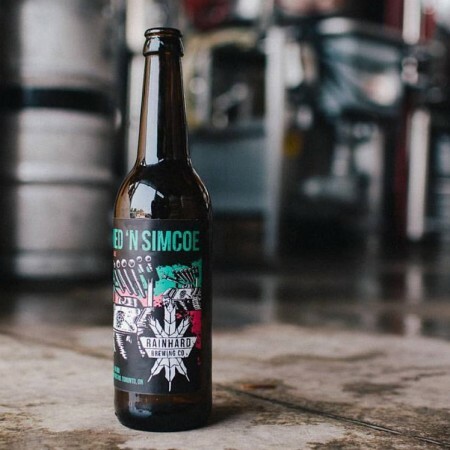 TORONTO, ON – Rainhard Brewing has announced details of four new releases for early autumn, including a variation on a regular favourite, and two new instalments in the Revolution Series of small batch beers. Out now is Armed N’ Simcoe, featuring the same core recipe as the popular Armed N’ Citra pale ale, but with Simcoe hops subbed in for the usual Citra. Coming this Thursday September 21st is Key Lime Pie Sour Ale, the fifth release in the Revolution Series, followed by the sixth – Passionfruit Gose with Lactose – on Friday October 6th. And also due out before the end of September is a new Double IPA with a name to be announced. Watch for more details of all the beers to be posted on the Rainhard Brewing Facebook page as they’re released.